I grew up in apartheid-era South Africa, a country which was its own peculiar and terrible island in those years. The National Party divided towns and cities along racial lines and created separatist ethnic island 'homelands', doing its best to isolate the country’s white minority from the rest of Africa, and the world. 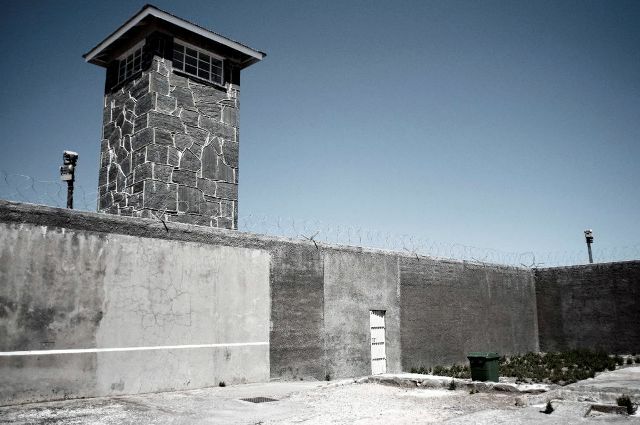 But there was a real island – 'theIsland' – that looms large in the consciousness now, the rocky outcrop of Robben Island’s ocean-bound prison, visible from Cape Town. It was used as a place of exile and imprisonment long before apartheid was formalised, by the Dutch and British rulers too. The Dutch were the first to use it as a place to incarcerate the politically inconvenient from their colonies in the east, including Cape Town’s first imam, ‘Tuan Guru’. The British Colonial administration continued this tradition, with Xhosa leader Makanda Nxele, also known as the prophet Makana, among the more famous prisoners. He escaped from the island, but drowned in the attempt. One of the island’s prominent political prisoners was Robert Sobukwe, founder of the Pan Africanist Congress, who was born in my home town of Graaff-Reinet. He was sentenced to three years in prison in 1960 for the incitement of defiance against the pass laws. When he’d served this time he was jailed for a further six years under an Act of Parliament which included the 'Sobukwe Clause', by which the detention of any political prisoner could be indefinitely extended. He served the rest of his term in solitary confinement on Robben Island and was released in the month I was born. He is buried in Graaff-Reinet, and when I go home I often drive past the renamed Mangaliso Robert Sobukwe building – which ironically was once known as ‘the Commando building’, the local base for the volunteer part-time force of the South African army. Before Nelson Mandela, Walter Sisulu, Govan Mbeki and other anti-apartheid activists were jailed on Robben Island it housed a leper colony. Photograph of a Christmas Party, Robben Island, 19th Century is about a photograph of earlier inmates that haunted me so much I felt the need to recreate it in words. Truths & Reconciliations reflects on Mandela's hard labour in the prison’s limestone quarry, the title referring to the miraculously peaceful transition afterward that I believe owes a lot to the revelations of the Truth and Reconciliation commission – something South Africans may take too much for granted now. The wishes of the world are with Nelson Mandela in hospital as I write, and it feels particularly poignant to think of the remarkable, eventful life of this man, now so frail, who once broke stone for many back-breaking hours in the fierce light of that island. A man whose very image was banned, whose face – now so iconic and familiar and beloved – South Africans were not officially allowed to see back then. The islanding of censorship and oppression, overwhelmed by the bravely-built bridges of individual sacrifice, resistance, connection. perched above the scraped-back bun, her forehead smooth and bare. Your probing gaze could make hers stern, or sad. low at the table, one half hidden by the other, shy. why it should so unsettle you. The table’s laid, sliced breads and meat. from the black-and-white, you glean that old dark green. one’s cheek is pitched in shade, her mouth a blur. none raised – the lepers’ hands kept in their laps. but it’s just the paper’s flaw, a tear, a crease. who made your father blind? to the glitter of the lime.